Offers dual side shifting with 12-pallet handling capacity. Ideal for the commercial agricultural market. Concrete blocks are easily handled with this design that can hold a single unit of blocks with side shifting capabilities. 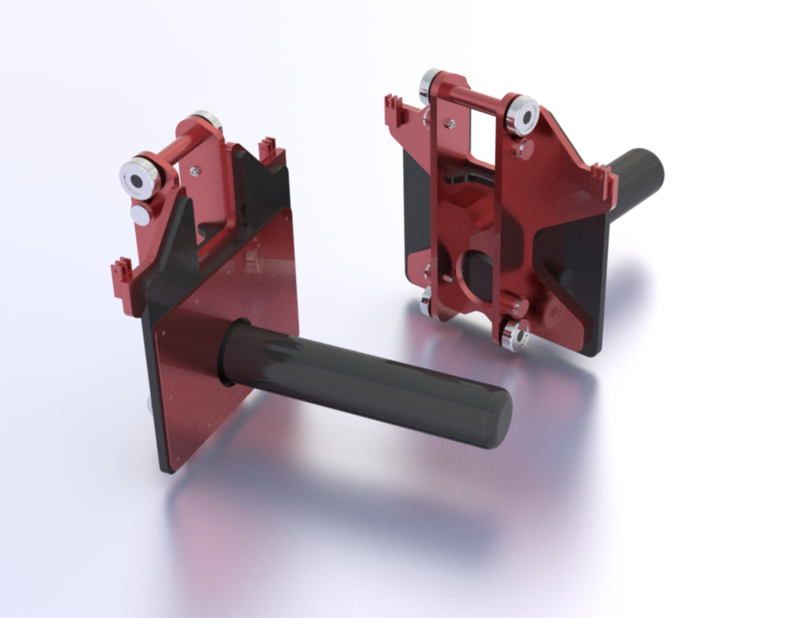 Holding double the capacity of the single block handler, this attachment increases the productivity, accuracy, and safety of the work environment. These hydraulically powered attachments allow the driver to move the forks in optimal positions under a load without leaving the truck. 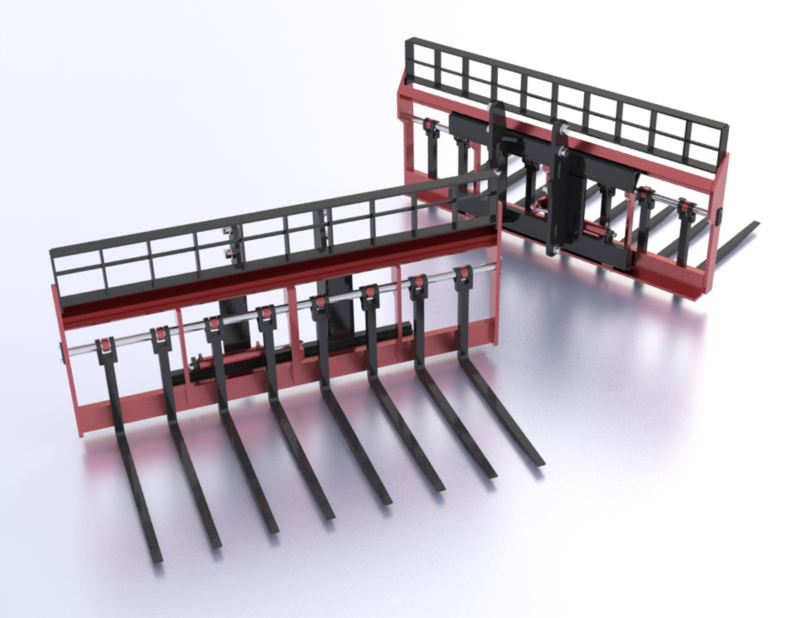 Combined with the standard forks, the stabilizer will keep fragile and unstable loads secure. Used to position loads at an angle to the direction of the truck travel by swinging the carriage 10 to 20 degrees on a vertical axis. 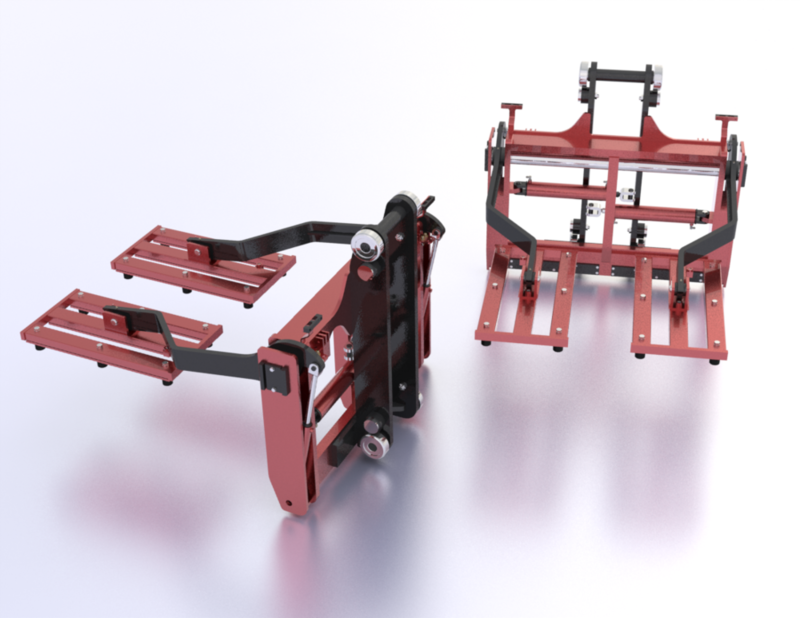 Allows the operator the ability to lift and place units with minimal movement of the truck. The design gives the operator optimal safety. Designed to handle rolled or coiled materials such as banded steel, carpet, wire, and iron without causing damage to the load. Hydraulically powered to allow the operator to move loads side to side for the best positioning. Allows the operator to adjust loads to the slope of the ground and/or truck bed. Ideal for job sites with grades and uneven terrain.